What do 'green' claims on gardening products mean? There is no legal definition for the term ‘organic’ in relation to gardening or gardening products – so do the claims made on ‘natural’ and ‘organic’ products stand up to scrutiny? Many of us claim to use fewer chemicals in the garden these days, and a raft of ‘organic’ or ‘natural’ products – including pesticides, plant foods and fertilisers – have appeared on our garden centre shelves. But what exactly does ‘natural’ or ‘organic’ mean in a gardening context? Unlike the farming and food industries, there is no legal definition for the term ‘organic’ in relation to gardening or gardening products. More than half of the 4,000 Which? members we surveyed said they felt confused about what the terms ‘natural’ and ‘organic’ mean. A quarter thought they’re interchangeable. The majority associated the term ‘organic’ with products that are made with natural materials – but that was also the definition of ‘natural’! So what do the green claims made on gardening products actually mean – and is greenwash (misleading green marketing) an issue? The team at Which? Gardening bought 14 garden products, including plant foods, pesticides and herbicides, all claiming to be ‘natural’ and/or ‘organic’. They then asked Dr Margi Lennartsson, Director of Programmes and Pauline Pears, Publishing Editor at Garden Organic, the UK’s leading organic gardening organisation, for their opinion on the products’ labelling. Garden Organic has recently devised its own ‘Organic Gardening Guidelines‘, based on the criteria, principles and practices that organic agriculture is expected to meet. Below are some of the claims found on the packaging – and Garden Organic’s opinion of them. ‘We assume this is meant to imply that the product contains no manmade synthetic fertilisers. But a chemical substance is simply something with a specific chemical compostition – such as water! ‘These phrases imply that the products contain materials found in the natural world, and not man-made chemicals. In most cases it would appear that the products are based on materials found in nature which have then been processed/ extracted in some way. Which? Policy adviser Rebecca Owen-Evans says: ‘Which? wants to see clear, meaningful green claims that are backed up by evidence so that consumers can make a truly informed choices. ‘The Government’s Green Claims Code has been available since 1998, and the Practical Guidance that goes with it is being updated and due to be issued anytime now. ‘The Code advises that claims should not be vague or ambiguous, so we’re concerned to see the phrase ‘environmentally-friendly’ appearing on packaging. The Code says that this term should not be used and that all claims should make clear what environmental impact or improvement they relate to. ‘We very much doubt that any ‘chemical free’ product exists – although if it does, the Royal Society of Chemistry may be interested to hear about it. In 2010 they launched a competition with a £1 million bounty for the first person who could create one and present them with it! If you see what you think is a misleading green claim on packaging, email gardening@which.co.uk. 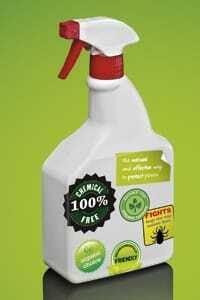 The full report on ‘Green’ labels can be found in the Jan/Feb 2011 issue of Which? Gardening. To try 3 issues for £1, click here. Do you use ‘natural’ gardening products? If so, do you still believe the claims on their packaging, or do you think they’re a load of greenwash? Join the debate on Which? Conversation.